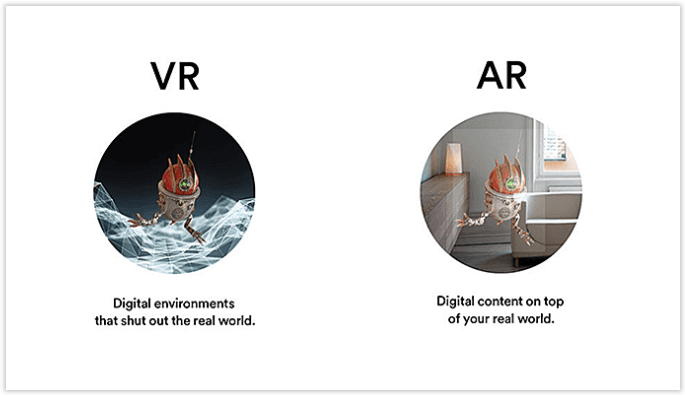 How Introducing VR and AR in Your Mobile Apps Can Raise your Downloads and Revenue? It is said, AR and VR will be indispensable in the business world in the year 2025. But, we can’t determine the exact frequency yet as the future could be much more advanced than what we have imagined at the moment. One thing that is undeniable is that AR and VR, both technologies will have a huge impact on each sector of the business world. Now, before getting into the actual business advantages, let’s understand the differences and perspectives of both the technologies. Virtual reality is something which detaches people from the real world and takes them into a whole new digital environment through technology. This technology recreates a certain situation in such a way that people feel that it’s their actual reality. A good VR technology can trigger intense emotions just like the real world. Augmented reality is the one which adds a digital layer to the reality making people more intensely involved. The AR technology, unlike the VR one doesn’t block out the real world completely. Infact, it magnifies the user experience, enhancing human senses like sight, hearing, feeling and smell. VR and AR are definitely going to be an important part of every business in the coming years, if not necessary ones. It is predicted the apps with AR and VR technology will have more downloads more than the ones without them. Each mobile app whether it is transportation, education, healthcare, gaming or any other will obtain more and more benefits from AR and VR technology. 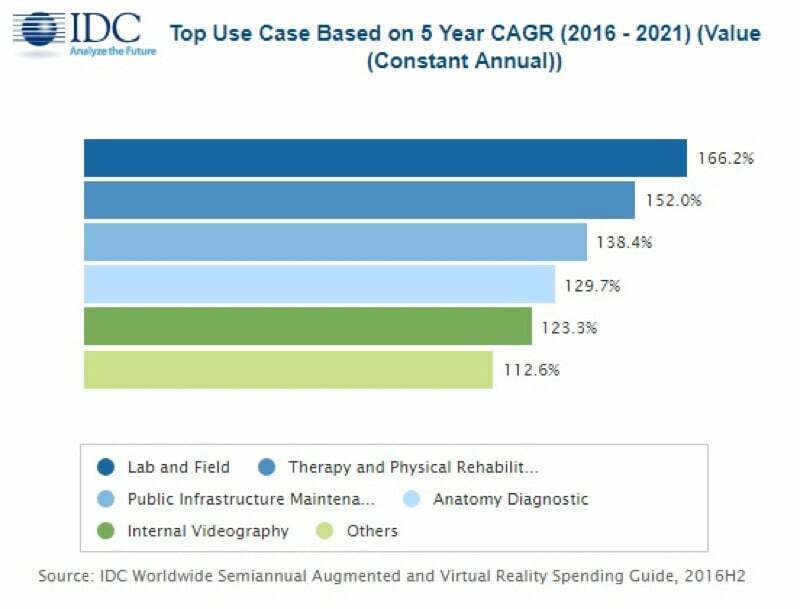 As per the research by IDC, in United States and Western Europe, IDC expects discrete manufacturing and process manufacturing to be the next largest sources of AR and VR revenues. Between 2017 and 2021, consumer segment in the U.S. will quickly be overtaken by process manufacturing, government, discrete manufacturing, retail, construction, transportation, and professional services. Want to know the implementation of AR-VR in various industries? Let me share a few to satisfy your curiosity. To start with the travel business, Lyft a giant which provides ride-hailing services, is exploring various ways to integrate these technologies in the rides. They want to provide their users an experience which takes the riders to another world while riding. 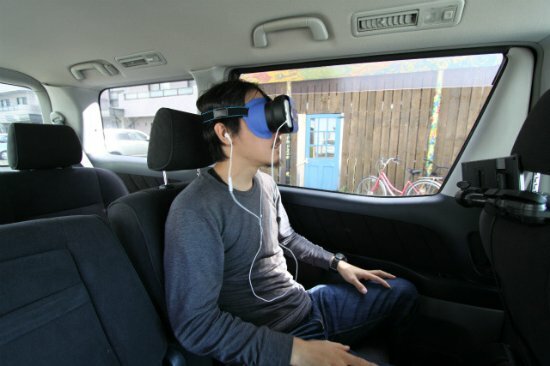 They want to introduce a VR system that responds to the sudden stops, twists, turns and bumps on the road. The VR transportation system is expected to access the information about each movement on the way and identify the previous inertial forces that the car experiences like turns, merges and stops on the road. The virtual reality also calculates the previous bumps and predicts the future bumps that the passenger is about to experience. The passenger can also share their experience with people in other car or waiting outside, as the ride will be made like an unforgettable experience. They could experience the sounds of objects colliding like in space and something much more exciting. If we look at the education industry, it has come a long way. The days when students use to look at atlas or turn the globe to search a particular country are long gone. The computer and tablets have eased the process of understanding. But, the computers were inept in connecting with the middle school kids and the teenage students. Virtual reality has brought a revolution in the education sector making it easier for the kids to understand processes smoothly. 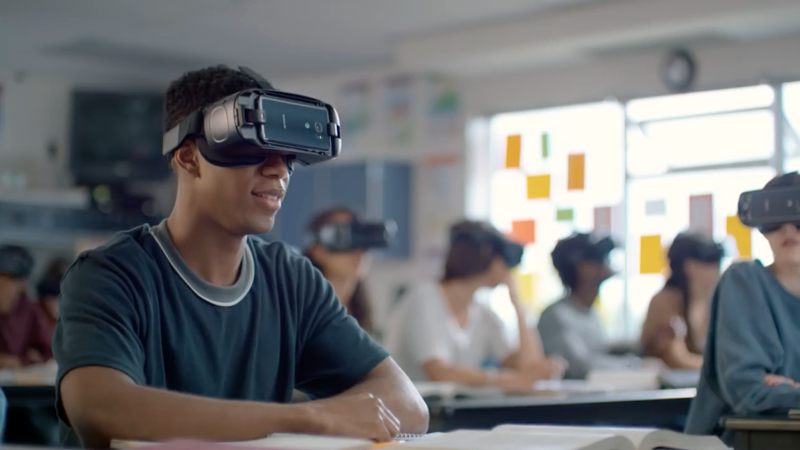 VR and AR can make the students experience the actual events even if they are just onlookers. This is a way impart education in one-on-one learning process. Nearpod, an interactive tool, is designed for teachers to engage their students with interactive lessons. Even learning different languages is made easy as the virtual reality can bring various countries right where you are sitting. 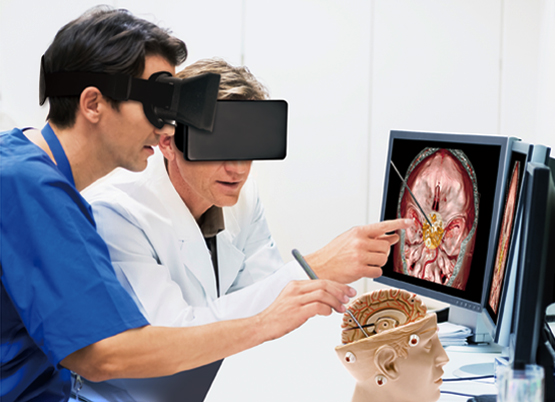 Healthcare is not left untouched by the wonders of Augmented and Virtual reality. It has already started getting into the surgical suites, medical training, hospitals and home care situations. It has been very helpful for the patients of autism. AccuVein is an early device that can scan patient’s skin and can locate the veins underneath for the less painful placement of needles. Israel-based Augmedics created a surgical technology that overlays spinal information of a patient’s spine via a headset. Boston-based VR company makes various games and apps involving exercises that would help the patients being cured at their home. Apart from these industries, AR-VR technology is highly used in gaming too. We cannot predict in what way it can evolve in the coming days, as it can be seen touching new heights each minute. To sum up, let me list the reasons for why you should opt AR-VR technology while developing mobile app. » Provide life like experience to your customers. » Efficient and innovative ways to outshine the competitors. Isn’t it something that you must really consider having for your mobile apps too? There is an another benefit of having an iOs AR-VR app. Your app has chances of getting listed in the section of “Experience it in AR” section of itunes gallery. Coruscate can help you in developing mobile apps with excellent AR and VR. Our experienced and seasoned developers can promise to bring your idea of the augmented or virtual reality to life. Get in touch with us through contact form.